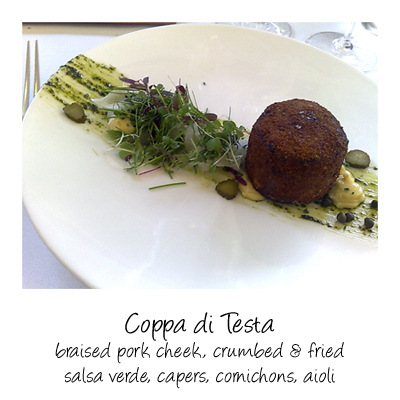 It's a while between lunches at Church St Enoteca but the news of pork cheeks on the menu had us scurrying in. 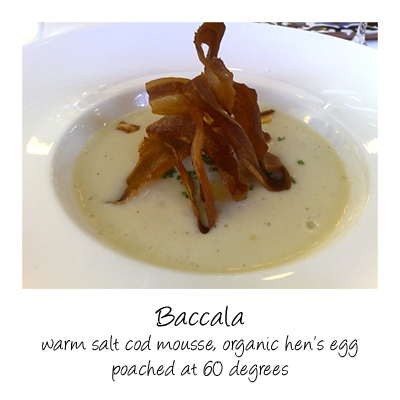 The baccala was calling my name - presented in a different style, more soup like in consistency. You'll certainly need some of their delicious bread to mop up the plate. 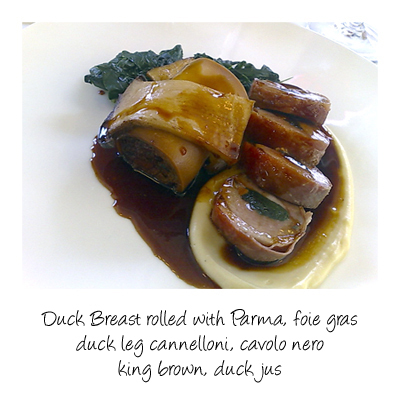 For a change, Paalo ordered the duck - the breast was well cooked, still tender and moist. 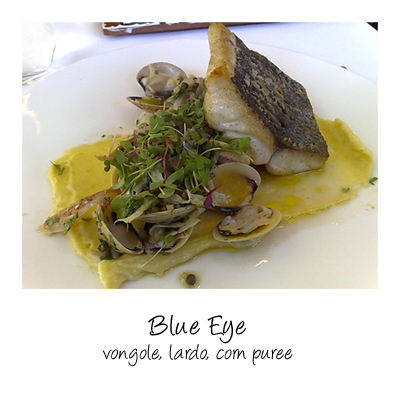 I kept on the seafood theme with this beautifully cooked piece of blue eye. 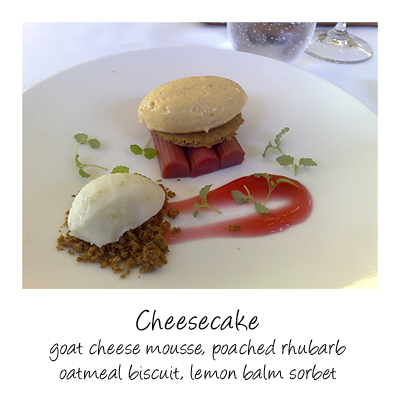 a new version of cheesecake, which tastes as good as it looked. Oh, this food looks amazing! So beautifully presented. I must go back before the chef moves on next year.